VW hopes to boost China sales by introducing EVs such as a crossover based on the I.D. CROZZ. Volkswagen brand sales in China rose 4.3 percent year on year to 226,000 vehicles in April on strong demand for its crossovers and SUVs. VW said deliveries of the Tiguan compact crossover jumped nearly 43 percent to 25,900. The German automaker also launched the Teramont large SUV, with sales of 4,200 vehicles in its first full month on the market. In the first four months, VW brand sales fell 1.9 percent to 921,600 vehicles. The brand hopes to boost China sales by introducing a line of electric vehicles, but it will be a while before those vehicles will be available. 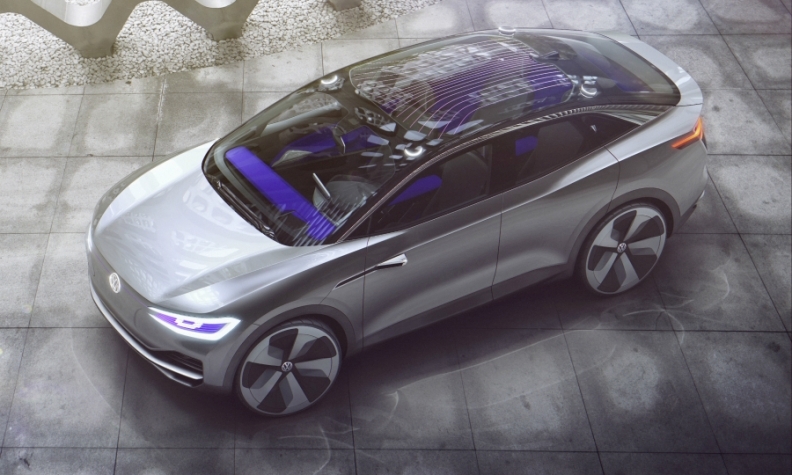 At the Shanghai auto show last month, Volkswagen showcased the I.D. CROZZ electric crossover, which is to go into production in 2020. Meanwhile, Audi deliveries declined 6.9 percent to 46,166 vehicles last month, as the luxury brand began to recover from a costly dispute with dealers over its plans to expand its distribution network. Last year, Audi announced plans to sell vehicles via a new joint venture with SAIC Motor Corp. That enraged dealers affiliated with Audi's partnership with China FAW Group Corp., and those dealers stopped ordering new vehicles. Audi agreed to suspend its plans for a second distribution network, and dealers resumed ordering vehicles. This year through April, Audi sales are down 18 percent to 154,873 vehicles, but the brand expects a boost from new models. Last month, Audi launched the redesigned A3 sedan, and the new A5 sedan will go on sale in China this summer.